Offering high quality, bespoke sign design, manufacture & installation. Construction sites are of course working locations, and often out of bounds to members of the public. Commercial signs are probably the place most people encounter signage in their day to day life. 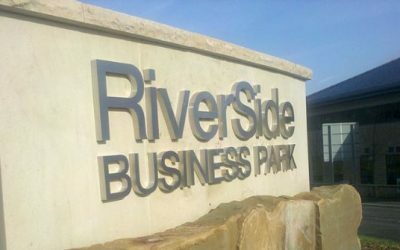 Make the right impression on corporate clients, potential occupants & job applicants alike with our range of corporate signs. Do you need help with the design, manufacture and installation of a new sign? Here at In-Signs we offer a range of high quality, personalised signs & fascias for a range of purposes across the UK and believe that a high quality, bespoke signage can have a massive impact on the performance of your business. We design, manufacture, install and maintain signage for offices, retail parks, shops, leisure centres, hotels, restaurants, pubs, healthcare centres, sports stadiums, museums, construction sites and much more! 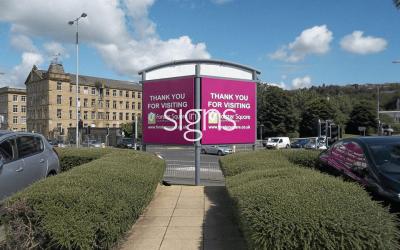 Our construction signs include banners and hoardings, whilst our commercial signs range include flex signs, post signs, totem signs and built up letters. Our corporate signs vary from acrylic directories for reception areas, to stone works for main entrances, window vinyl’s and totem signs. If you’re interested in talking to us about the design of a sign for your business or organisation, get in touch today and we can discuss your requirements and maybe give you a few ideas too. 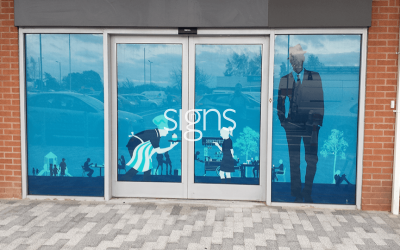 Whatever type of sign you add to your premises, there’s no reason why it should only be seen in the daytime, and we’ve already looked at some of the most eye-catching options for commercial sites in recent weeks.